Though the European Union’s GDP did not changed, the Green back once again gain grounds against the Euro as echoes among the recently elected Greek officials split up without having an arrangement. In the next 3 – 5 weeks they should held the elections. 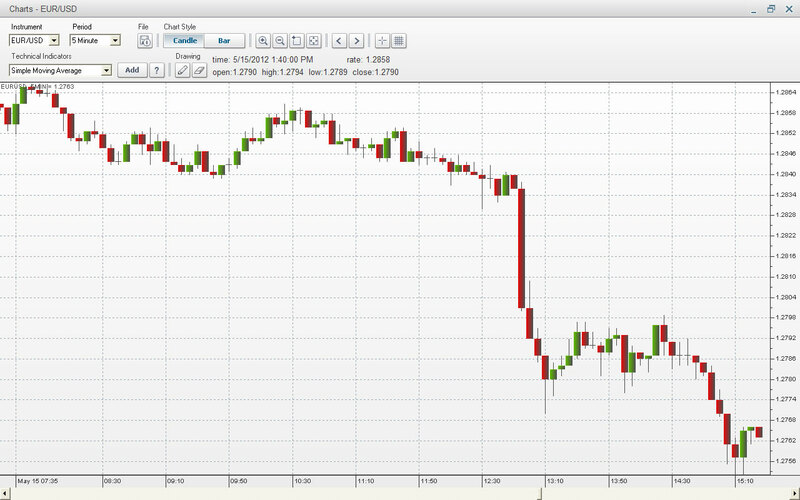 Currently the EUR/USD is playing at 1.2755 to 1.2765, it still seems to go down. It already lost a cent a total accumulated lost of 0.25%. The rating of 26 Italian banks has been downgraded by the agency Moody’s whilst Spain’s ten year CDS hit a new record-high of 535 basis points spread. with 0 percent growth for both the QoQ and YoY series and the Germans, increased again by 1.2 percent YoY and 0.5 percent QoQ. The EMU and the ZEW survey for economic sentiment for Germany came shorter than expected, falling to 10.8 instead of 19.0 and 2.4 instead of 11.7. The United States CPI expanded by 2.3 percent while the business inventories (0.3 percent) and retail sales (0.1 percent) fall short than expected. The EUR/USD pair should run into 1.2879 resistance, onwards to 1.2935 and then 1.2964, according to Market analysts. On the negative, it will face the 1.2765 as well as the 1.2709 support.